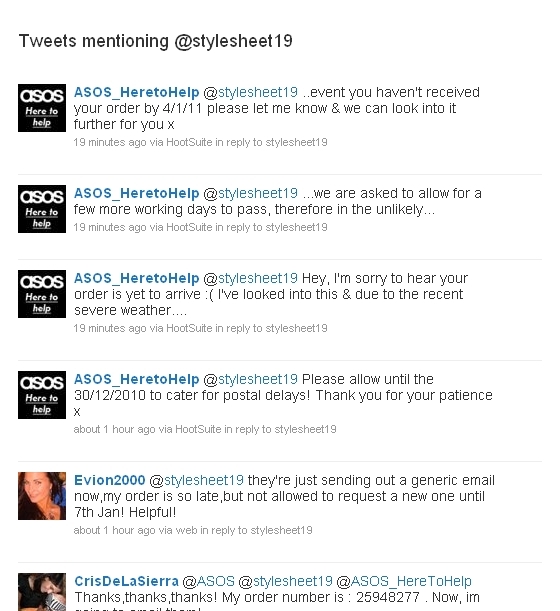 Now as far as the ASOS order is concerned i was about to order some gifts and then because of the weather conditions i decided not to. I am so glad i did! What you are describing is at one hand logical but at the same time is not. It is purely bad customer service and of course careless service! I mean why the heck are you throwing a sale when you can even deliver what people have already ordered? But of course because you are realizing that you are loosing customers. You throw a sale and they don’t care anymore when their goods are going to be delivered. Anyway…excuse the long comment and hopefully your order will arrive soon…although i am pretty sure is going to be too little too late. Thalia, first of all, thank you for your kind words. Good to be back! 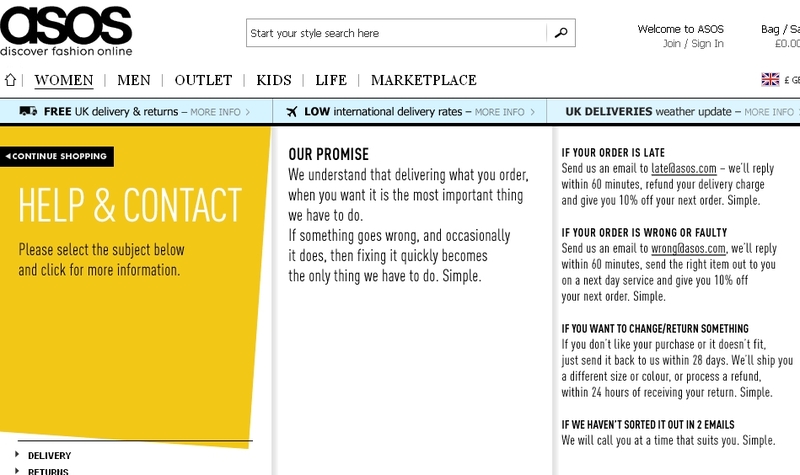 Asos’ biggest mistake is that they make promises they can’t keep. Tesco, perhaps the most influential retailer of all times, keeps it simple; its promise is «every little helps», and, according to CEO Sir Terry Leahy, «that affirmation encourages everyone at Tesco to give their best». That’s all! I’ve been waiting for an order of mine for days now and I contacted them today to see what’s going on. I placed the order on the 16th of December and I paid for express delivery so that I’d be sure that it would arrive before Christmas. Of course that was impossible due to the weather conditions so I waited and waited until I realised that the tracking details had not been updated since the 23d of December. 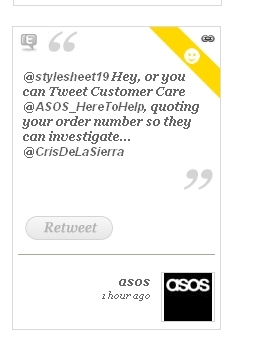 So, I twitted them and they said they e-mailed DPD to see what’s going on. Anyway, lets talk about the tights now. The one’s I’m wearing in the picture are from Calzedonia. They’re the thickest they’ve got and the seam is not really visible, maybe you should try those. If I find anything else I’ll let you know!